Our Teenage Course consists of 30 hours of Classroom Instruction including the state mandated eight hour course on alcohol, drugs and safe driving practices as well as the two hour parent class and eight hours of Behind-the-Wheel (BTW) instruction. We go over and above the state requirements by offering such topics as defensive driving, car maintenance, insurance and accidents, and much more. This package also includes the off-site License Exam. Please call for more details. Please note that all Road Hour appointments must be scheduled by calling the office. Insurance Discount: Certificate on completion of course. Our Teenage Course consists of 30 hours of Classroom Instruction including the state-mandated eight-hour course on alcohol, drug's and safe driving practices as well as the two-hour parent class and eight hours of Behind-the-Wheel (BTW) instruction. We go over and above the state requirements by offering such topics as defensive driving, car maintenance, insurance and accidents, and much more. 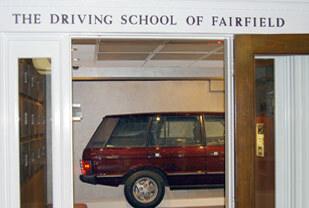 CT 8 Hour Safe Driving Practice Course including 2 hours of Behind the wheel driving. After the completeion of course and driving being able to take your license exam at our school. The 8-hour course is also available separately for HOME TRAINING students as well as adults. It is generally offered the first and third weekends of the month, Saturday and Sunday from 12:30-5:00 PM each day. Please check on CLASSROOM SCHEDULE above to confirm dates and times. Students may reserve a space by calling (203) 255-7676. Checks will be accepted up to 14 days before scheduled course; after 14 days only cash payments will be accepted. Space permitting, students will be allowed to register for course the same day. 8 hour lesson Behind-the-Wheel(BTW) with one of our instructors in our dual controlled vehicles. The 8-hour course is also available separately for HOME TRAINING students as well as adults. It is generally offered the first and third weekends of the month, Saturday and Sunday from 12:30-5:00 PM each day. Please check on CLASSROOM SCHEDULE above to confirm dates and times. Please note there is a two-hour parent/student component for any student under the age of 18. This parent/student class is taken in place of 2 hours of the weekend program (D&A 2) and must be booked at the same time as the course. 2-hour lesson Behind-the-Wheel(BTW) with one of our instructors in our dual controlled vehicles. 6 hour lesson Behind-the-Wheel(BTW) with one of our instructors in our dual controlled vehicles.